SKU:L4301/Deeper. 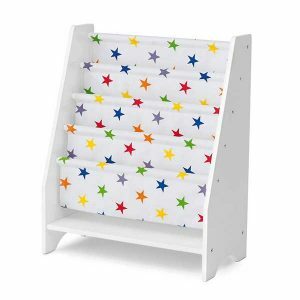 Categories: FURNITURE, BOOKCASES & STORAGES, GLTC FURNITURE, Theme - Grey Stars. This freestanding bookcase is perfect for picture books; early readers judge their books by the cover, so this makes it much easier to find their favorites. It’s a useful piece of furniture for children’s bedrooms; team it up with a bean bag chair.